"Not having a regular relaxation routine can severely damage your physical amd mental health." Many people are living with unhealthy levels of stress. Finding a good way to relax may not only improve your health it may well improve your productivity and creativity. I can tell you now, that 95% of the people that walk through the door of my practice in London do not know how to relax. 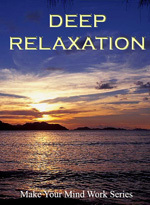 Not having a good relaxation process is common to nearly all anxiety sufferers. Scientists have been hooking people up to machines to measure their brain wave activity for decades. 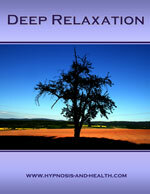 How your brain responds to relaxation is well understood. Improved resistance to disease and infection. Significantly reduces the risk of heart disease and keeps dormant infections (like herpes) at bay. Greatly reduces stress (hypertensive disorders). Significant reduction in heart attack recurrence. Decreases anxiety and depression - both the intensity and frequency of symptoms. It won't take you more than a few minutes browsing the internet to come up with hundreds of studies saying the same thing. Relaxation is NOT sitting in front of the television. Relaxation is NOT stopping for a cup of coffee or a cigarette. Relaxation is NOT having an alcoholic drink. Relaxation is NOT lying in the sun. All of these activities put stress on your system, either by poisoning it, or causing cell damage or putting your brain into the wrong state. I’ve tried many types of relaxation from meditation to floating in tanks of warm water. The best method by far has been a hypnotic state. Anyone who has ever tried this will tell you that waking up after half an hour or an hour of hypnosis is like waking up after a good sleep. But don’t write off the other methods because you never know what is going to best suit you. I have included a number of methods here but we are going to start with the hypnosis recording because there is nothing to learn, so it is the easiest to do. We have put together a comprehensive ebook that shows you some excellent techniques to help you to relax and improve your health. 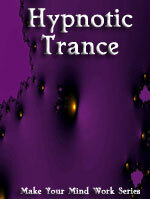 Sign up for our free quarterly magazine 'Deep Trance' and you can download this book completely free. Discover how easily you can drift into a deep hypnotic trance. The more you do it, the deeper you go. If you have never experienced this, you really must, it is different to ordinary forms of relaxation. It takes you from a stressed and confused state to a calmer, clearer state of mind. If you are looking for a deep hypnotic experience, more in line with a state of trance then this CD has been designed to do that. 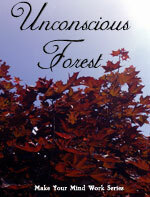 This is an exploration of deeper states of mind and can be useful for triggering creativity or for meditation. You can listen to all of these CDs, many times. This CD especially can take you into a deeper trance state with each listening. Harmony Radio sells meditation music narratives and instrumental downloads that will empower you to "Live your best Life".